In English, an infinitive is always preceded by to (to be, to do, and to read). In its infinitive form, a verb has no subject and isn’t conjugated. When you discover a new verb in Italian, you realize this “raw” form. To use the verb effectively, you need to understand the rules of conjugation. Each verb has an invariable part (the stem), which carries its meaning, and an inflected part (the ending) which identifies the person, the tense, the mood, and other features. Stems are essential because they are the structures to which you attach the different verb endings of the different tenses. To conjugate verbs, you need to know who or what the subject is. 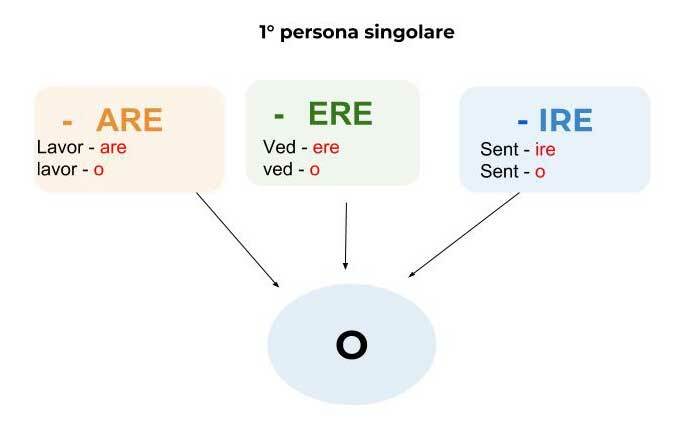 The subject tells you what to add to the verb stem, which you get by removing the –are, –ere, or –ire. → For example, the stem of parlare is parl-. To this stem, you add endings based on the subject. Each subject calls for a specific ending. Io (I) means that you add an -o to the verb stem: Io parlo, (I speak). Noi (we) gets the ending -iamo, as in Noi parliamo (We eat). Although in English you can’t use a verb without naming the subject, in Italian, the endings tell you what the subject is. 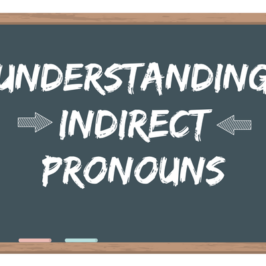 In a sense, the subject pronouns are redundant in Italian. Regular verbs do not change their stems or roots so the stem remains the same when conjugated. Irregular verbs change their stems so it may change form once it has been conjugated. They don’t follow a pattern of standard endings. Therefore, you need to memorize them. Most irregular verbs belong to the second conjugation. 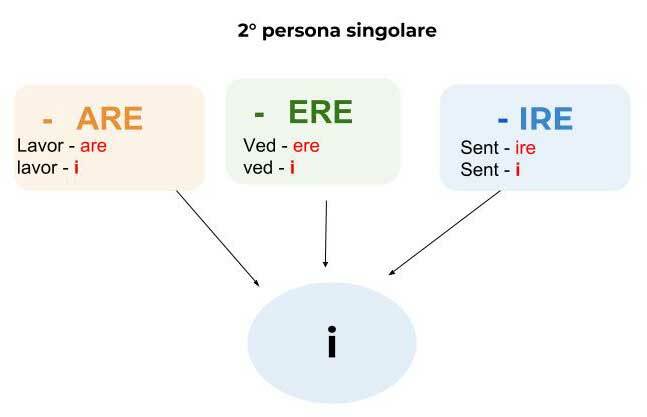 Verbs of the first conjugation end in -are and are the most common verb in Italian. In regular -are verbs, the person, or subject, is indicated by the ending, which is added to the stem. Where to place the stress of a conjugated -ARE verb? When pronouncing all forms of the verbs, note that—except for noi and voi—stress should be placed on the stem of the verb, not the ending. 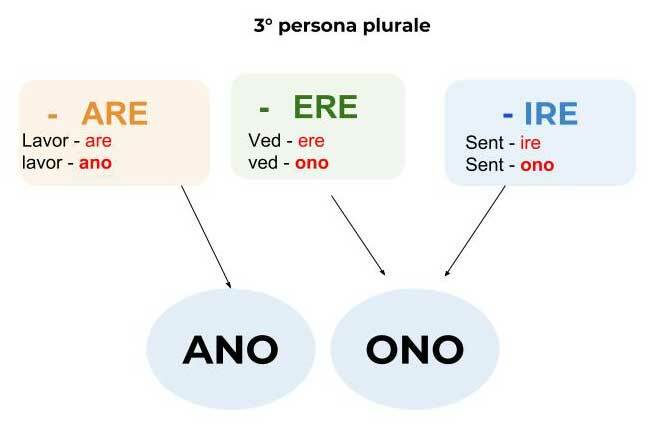 Although there are exceptions, this is particularly helpful to recall when you’re pronouncing the third-person plural (loro). Verbs of the second conjugation end in -ere. This is the second largest category of Italian verbs. In regular -ere verbs, the person, or subject, is indicated by the ending, which is added to the stem. The stress pattern in -ere verbs can be of two types. In the infinitive form, some verbs have the stress on the penultimate syllable (vedere,temere) similar to the -are verbs, but most have the stress on the stem (vendere, prendere, spendere), or the third-to-last syllable. 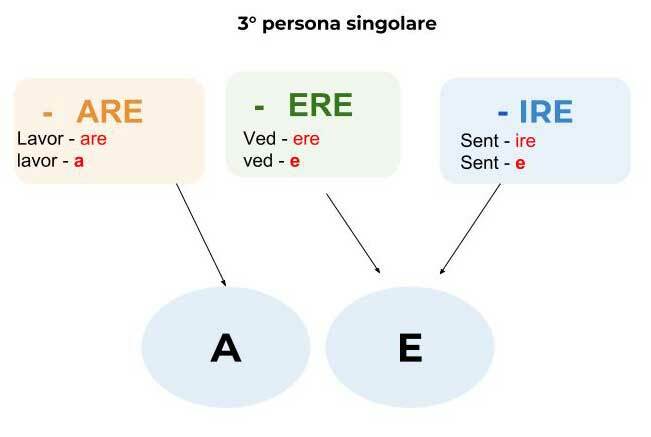 There are two groups of –ire verbs. 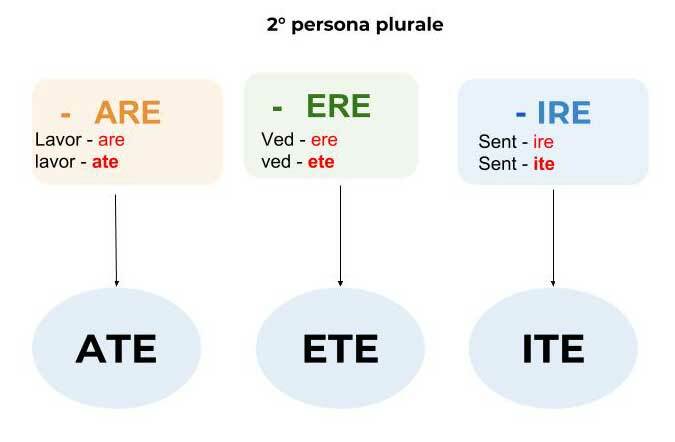 The first group follows conjugation rules (for the present tense) that are similar to those for the –ere verbs except for the voi form. The second is known as an”isc” verb because all the conjugated forms, except for noi and voi, insert the letters isc between the stem and the endings. This group of the –ire verbs that adds -isc between the stem and the ending in first, second, and third-person singular and third-person plural. Most verbs of this type (capire, finire, ferire, preferire, pulire) tend to have one consonant and vowel just before the -ire ending. How do you know which verbs take “isc” in their conjugation? You don’t. You have to refer to the dictionary, which shows the conjugation right after the infinitive. How to easily remember all these rules of verb conjugations. Here some examples for the present tense. See the three conjugations together and notice that the endings for this IO it’s always -O for all the conjugations. See the three conjugations together and notice that the endings for this TU it’s always -I for all the conjugations. 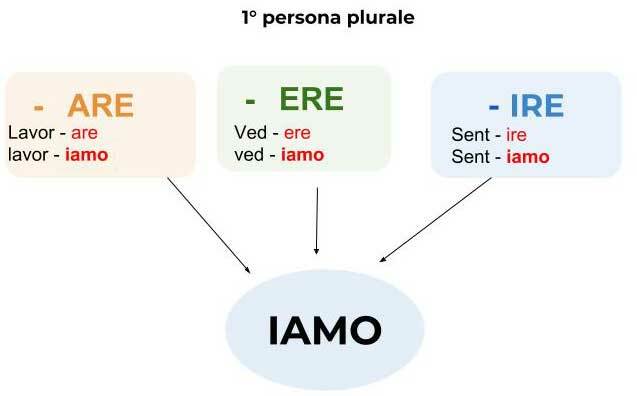 See the three conjugations together and notice that the endings for this NOI it’s always -IAMO for all the conjugations. Io (lavorare) (lavoro) in ospedale. Scusi, a che ora (arrivare) (arriva) il treno da Napoli? Tu (portare) (porti) i bambini a scuola ogni giorno. Noi (tornare) (torniamo) a Milano domenica. Mia nonna (cucinare) (cucina) dei buoni piatti. Voi (usare) (usate) sempre la stessa macchina. Loro (disturbare) (disturbano) mentre studio. Voi (aiutare) (aiutate) chi è in difficoltà. Loro (cantare) (cantano) molto bene. Noi (amare) (amiamo) viaggiare in aereo. A chi (tu) (scrivere) (scrivi) questa lettera? Luisa (perdere) (perde) sempre le chiavi di casa. Io (vivere) (vivo) a Londra da due anni. Anna è una pittrice e (vendere) (vende) molti quadri. Noi (vedere) (vediamo) molti film al cinema. Loro (ridere) (ridono) perchè sono contenti. Noi (vivere) (viviamo) in una casa lontana dal centro. Tu (spendere) (spendi) molti soldi. Voi (spendere) (spendete) molti soldi. Io (mettere) (metto) a posto la stanza. Tu (leggere) (leggi)un bel libro giallo. L'aereo per Parigi (partire) (parte) alle otto. A che ora (tu) (finire) (finisci) di lavorare? Di solito (noi) (dormire) (dormiamo) otto ore.
Loro non (capire) (capiscono) l'inglese. A che ora (voi) (partire) (partite)? Oggi (io) (pulire) (pulisco) il bagno. Loro (gestire) (gestiscono) un bel ristorante a Napoli. Noi (aprire) (apriamo) la finestra dell'ufficio. Il cameriere (servire) (serve) il caffè ai clienti del bar. Noi (fuggire) (fuggiamo) se c'è un pericolo. Voi (suggerire) (suggerite) le risposte ai vostri compagni. Paolo e Maria (partire) (partono) venerdì per le vacanze. Qualche volta (io) (aiutare) (aiuto) mia madre in cucina. Stefano (cantare) (canta) sempre sotto la doccia. Di solito noi (cenare) (ceniamo) alle sette e mezza. Io (preferire) (preferisco) non discutere questo problema. In macchina (io) (ascoltare) (ascolto)spesso la musica. Noi (amare) (amiamo) passare le vacanze al mare. A che ora (arrivare) (arriva) tua sorella alla stazione? Il medico che (curare) (cura) mio nonno è molto bravo. Voi (guardare) (guardate) la partita stasera? Paola (vivere) (vive) a Venezia e (lavorare) (lavora) in un negozio di abbigliamento. Perchè (tu) non (pulire) (pulisci) la cucina quando (tu) (mangiare) (mangi)? Questo esercizio non (finire) (finisce) mai! 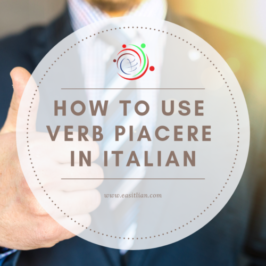 Do you want to read and listen to a list of High-frequency Italian verbs? I think this site is going to be great for me! 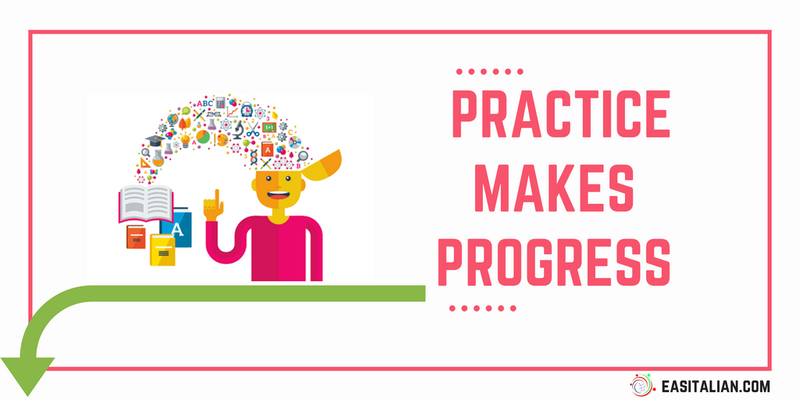 I think I have a new found understanding of how to proceed and become more fluid in speaking. Thank you very much Leslie.